> North America > USA > Washington, D.C. 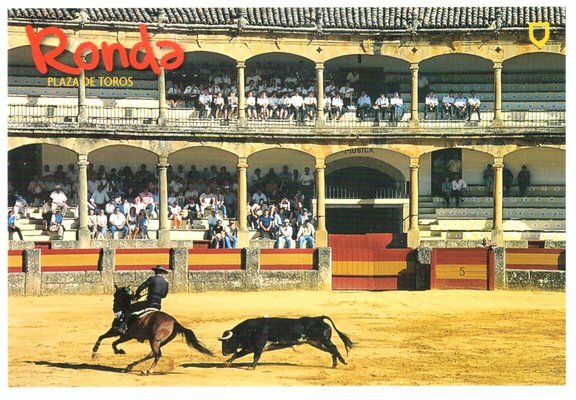 The Plaza de toros de Ronda. The arena has a diameter of 66 metres (217 ft), surrounded by a passage formed by two rings of stone. There are two layers of seating, each with five raised rows and 136 pillars that make up 68 arches. The Royal Box has a sloping roof covered in Arabic tiles. Soon after the ring's creation in the 18th century, the Romero family of Ronda emerged to provide over three generations of bullfighters.